Built 1903 at the site of the former "Teatro Doria". Opened 24 Dec 1903. Used for regular opera seasons into the 1950s. Demolished 1967. Front Text: "Buenos Aires (Rep.Argent. 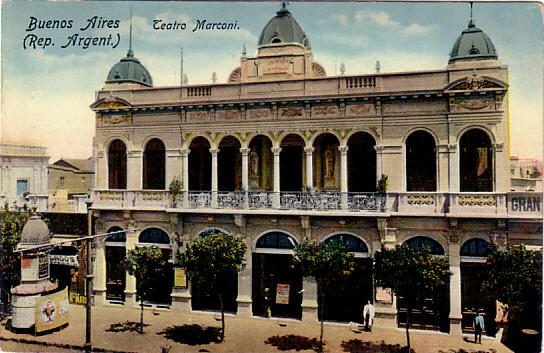 ), Teatro Marconi"